Why? Because Leaders who are both engaging and engaged will be more capable at delivering quality business results. We define engaging down into several components. These include Clarity of vision and strategy, Curiosity to investigate and discover more. The ability to engage with people and to put them into their Flow in roles that meet their interests and desires. Vulnerable and Confident Communication where a leader can engage an audience with stories that connect the head and the heart (and not necessarily ones where the leader has succeeded). Emotional Intelligence including an appreciation of E+R = O as Jack Canfield once shared with me, where a leader appreciates that how they React to an Event will determine the Outcome. Underpinning all of this is knowledge around the areas that are essential to successful business such as Sales, Marketing, Recruitment, Operations, Productivity and Finance. 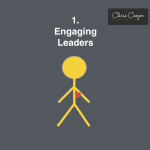 So is being an engaging leader simple? No! This is why we offer leadership and engagement programmes and workshops as well as one to one coaching. Engaged people deliver more revenue than disengaged people. Research suggests 43% more! Building teams that are highly engaged and intelligent is essential to high performance. 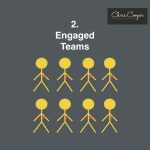 To build an engaged team requires Leadership intelligence, ensuring people are happy in the right roles that match their interests, allowing innovation and setting standards and effective ways of working. Also, building appropriate skills and knowledge within the team. For 10 years now we have been assisting leaders with bespoke solutions to build great teams. Engaging Leaders with Engaged Teams must be able to get the right things done to be successful. This is why we invest so much time in ensuring people have the tools and techniques to think through their intentions and priorities and get those important things done whether they actually feel like it or not. Unless those tasks essential to your vision or strategy are complete, how will you receive the results you desire? 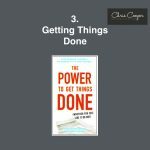 If you would like a Power To Get Things Done event created for your team then just let us know. We are currently collaborating with a well known University and Outdoor Leadership Company to offer programmes designed around this concept in venues ranging from small hotels and Conference Centres to Castles and beautiful Country Estates.